What a long, enjoyable weekend…a great start to my 32nd year! Lots of family time, good weather, and time at the beach. But you probably already knew this if you’ve been on my Instagram page recently – kids, kids, kids, and beach. I took LOTS of kiddo pictures this weekend and we had several firsts – Piper’s first trip to the beach, Shea’s first time doing sparklers, and Piper’s first time in the baby pool. I’m probably forgetting a few things, too – we’ve been busy! It has been a fun, long, busy weekend. I’ve made zero progress on my next book club book and Mark has me hooked on 90 Day Fiancé. Having been off Monday and Tuesday this week, my schedule is all off. It’s going to be a rude awakening when my alarm goes off in the morning. But…it will make for a short week, so there is a blessing there. When I finally sat down to meal plan today (Tuesday), I quickly realized that I wouldn’t have much to plan for. I had hit somewhat of a lull with meal planning, but recently we’ve had some really delicious meals – this being one of them. 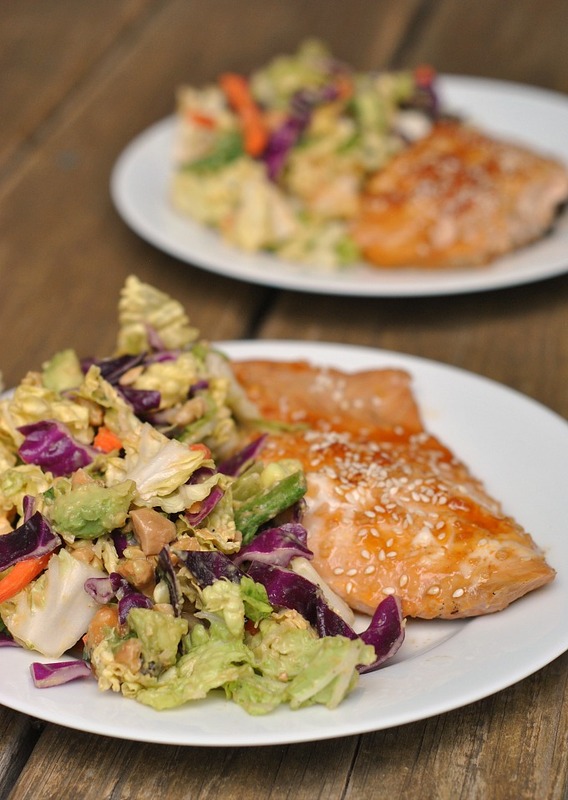 Salmon is one of the few proteins we ALL agree on – kiddos and all. I feel fortunate that my kiddos love salmon and I’m always looking for new ways of preparing it. The wow-factor is definitely there with this one. 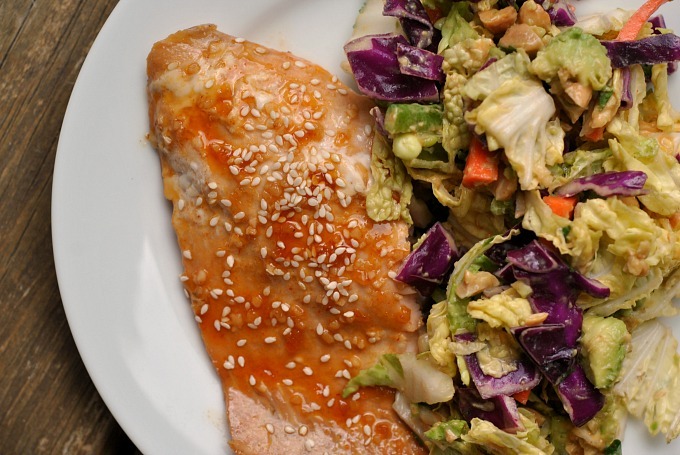 I happened to pair this Honey Sesame Salmon with the Crunchy Cabbage Salad with Spicy Peanut Dressing and…perfection! 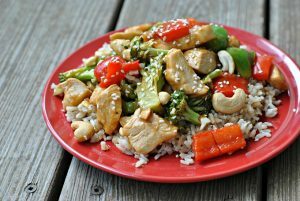 The two recipes have a number of ingredients that overlap and offer loads of flavor – toasted sesame oil, ginger, soy sauce, and honey. Mmmmm! Preheat oven to 375 degrees F. Roll out approximately 4 feet of foil; fold in half to double and position over a large baking sheet. Place salmon filet, skin side down, in the middle of the foil; set aside. In a small sauce pan, combine the honey, soy sauce, and butter over medium heat; bring to a simmer. Allow sauce to reduce slightly, simmering about 2-3 minutes. Remove from heat and stir in the lemon juice, garlic, vinegar, Sriracha, sesame oil, and ginger paste; mix well. Pour the mixture over the salmon. Use a brush to coat the entire surface. Seal the foil by closing the long side and pinching the ends to close. Bake for 12-15 minutes. Remove from oven and preheat broiled to 550 degrees F. Open the foil and use a spoon to collect the honey mixture from the bottom of the foil and drizzle over the salmon. Broil with foil left open for 1-2 minutes or until caramelized. 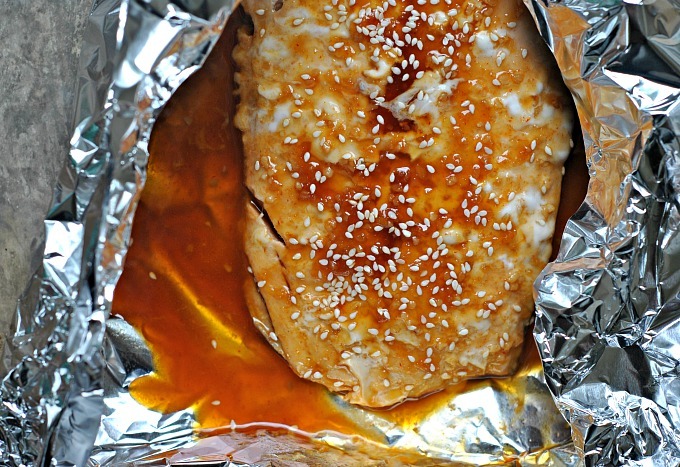 Serve with sesame seeds on top. Meanwhile, place cabbages, carrot, snow peas, and cilantro in a large bowl; set aside. In a medium bowl, microwave the peanut butter for 10-20 seconds to soften. Add the remaining dressing ingredients and whisk to combine. Drizzle over the cabbage mixture and toss to coat. Add the avocado and cashews; toss once more. 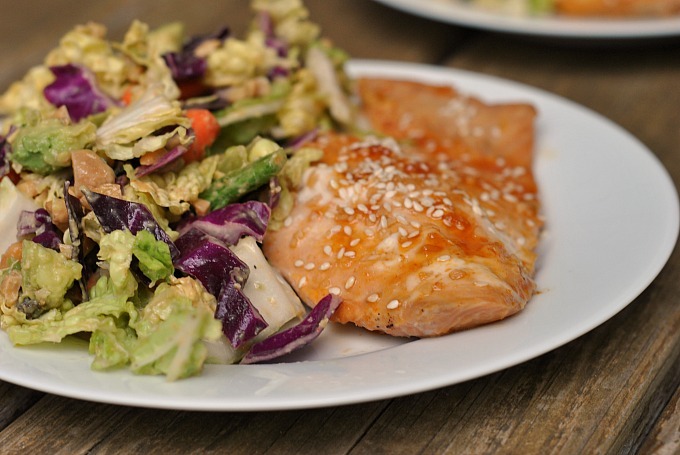 Serve the salmon hot and alongside the cabbage salad. 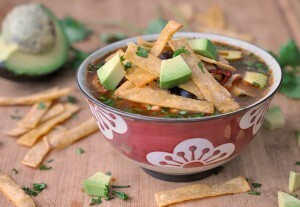 This recipe looks great – thanks for the idea!